Captain Les Crosby, AMS®, has 40+ years experience in the marine industry. He was a commercial fisherman for 35 years and a charter boat captain for several years. 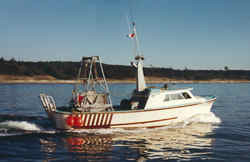 Les personally built three (3) commercial fishing vessels giving him a broader "hands on" knowledge of boats. Sailboat building and racing were a big part of his younger years with his family. The marine surveyor you choose should be the best your money can buy. A marine surveyor works only for you and reports only to you. 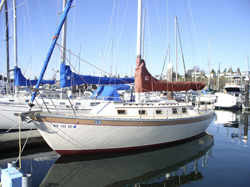 Captain Les is an experienced surveyor of recreational and commercial vessels of all types. He has extensive knowledge of U.S.C.G. safety requirements and receives current updates on a daily basis.